Search For "Agriculture" Companies in Fort Lee, New Jersey - Click Here Now! New Jersey Florist, Metro Plant Exchange Sell Flowers, Bouquets, And Also Houses Garden Centers In Fort Lee, Paramus & West Orange. Visit Http://www.metroplantexchange.com For More. 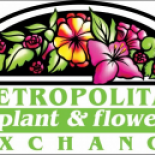 New Jersey Florist, Metro Plant Exchange in Fort Lee is a company that specializes in Lawn & Garden Services. Our records show it was established in New Jersey.